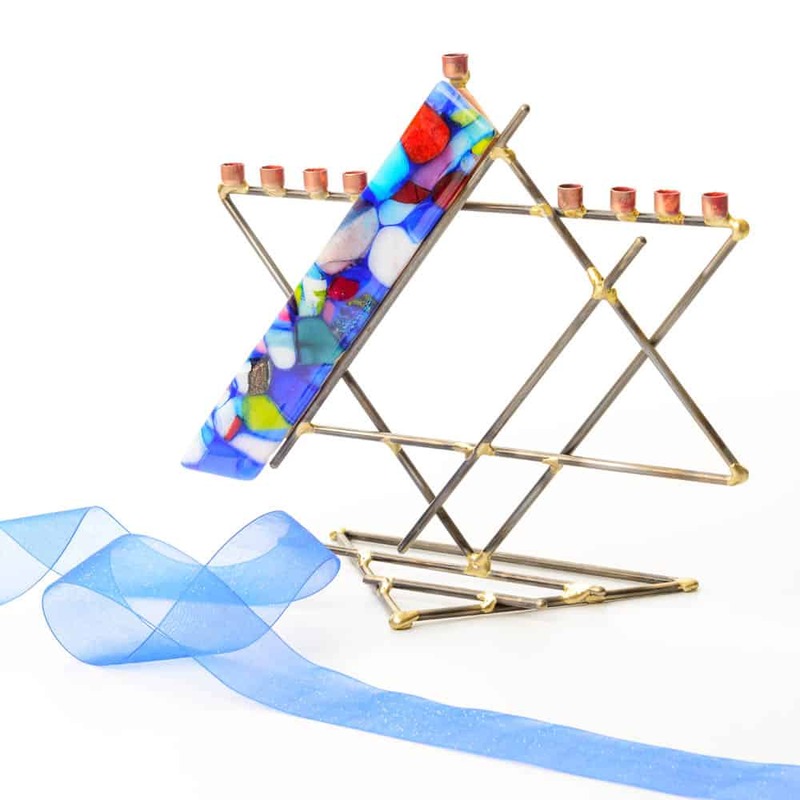 Gary Rosenthal is the master of creating outstanding Judaica with form and function. 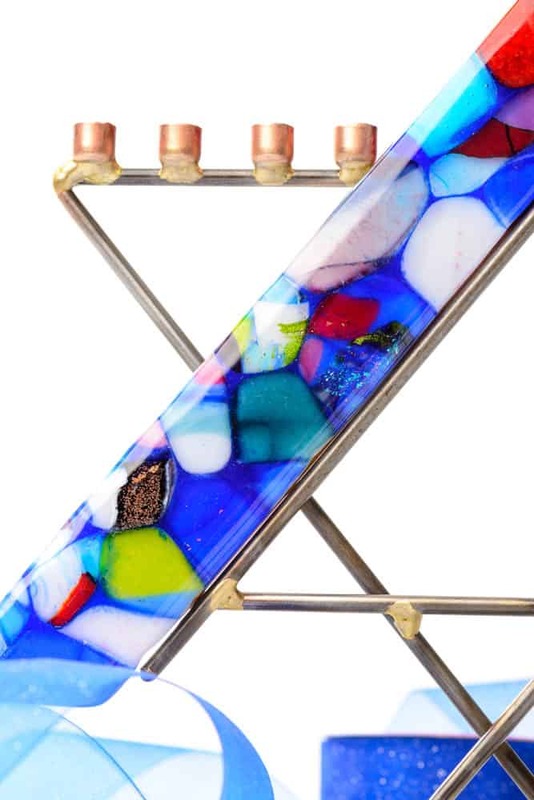 Fashioned of copper, iron and fused glass, the Rosenthal Rambam Legacy Menorah will be a family favorite for years to come. Make it part of your family tradition! 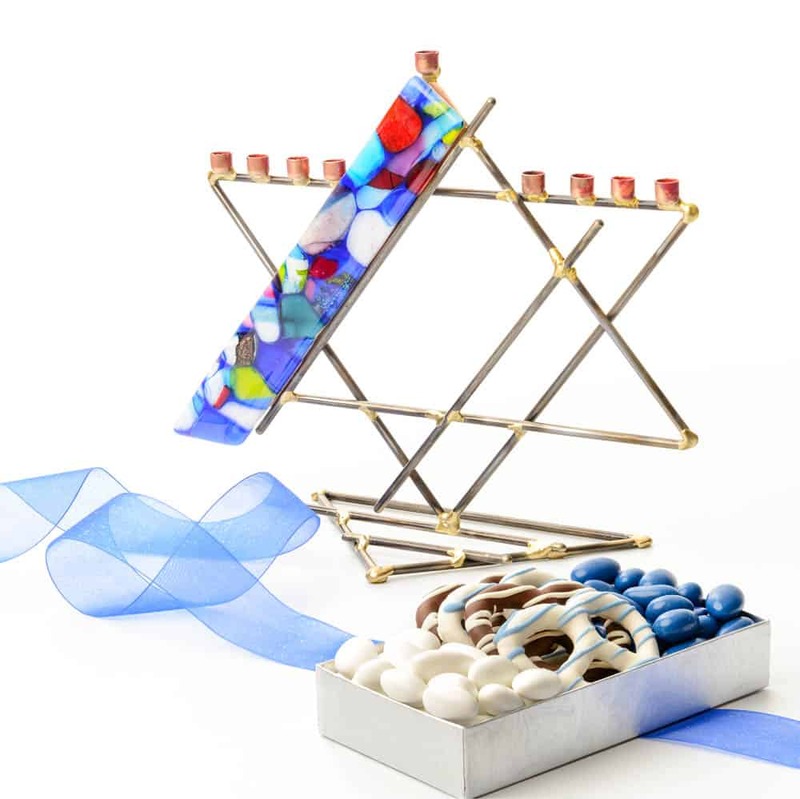 Arrives with a box of gourmet dark and white chocolate-covered pretzels, and blue and white Jordan almonds. Measures an impressive 11″ high x 13″ wide. Does not include candles.